What to look for when buying a used Chevrolet Silverado 1500? The Chevrolet Silverado 1500 shares much with its more upscale twin, the GMC Sierra, as a full-sized half-ton pickup truck.The Silverado was introduced in 1999 to replace the Chevy C/K line of trucks and took the Silverado name from a popular C/K trim level. The Silverado is the latest in a long line of pickup trucks produced by Chevrolet since 1930. The first generation of the Silverado 1500 entered the market for the 1999 model year. This generation continued through 2007 with some content refreshes throughout the decade. Three cab sizes (2-door, 3-door/4-door extended and 4-door crew) and three cargo bed lengths were built during the first-generation Silverado 1500's lifespan. Engines included a V6 and two V8 options. Transmissions were a four-speed automatic with a five-speed automatic being introduced towards the end of the first-generation's production. Several trim levels were offered throughout the first-gen's life. The second-generation of the Silverado 1500 was introduced for the 2007 model year. This truck was completely redesigned from the previous generation with similar, but more efficient engine options and more aerodynamic body styling. It immediately won the North American Truck of the Year award in 2007 and was Motor Trend's pick for a similar award that year. Again, a two-door, four-door extended, and four-door crew cab were offered along with three bed lengths. Engines again included a V6 and two V8 options for the Silverado 1500 as well as a four-speed automatic transmission. A six-speed automatic was eventually introduced as well, mated to a larger 6.2-liter V8 option. The hybrid introduced at the end of the first-generation Silverado's production was continued with a newly-developed powertrain for the 2009 model year. The current-generation (3rd) of the Silverado 1500 was introduced for the 2014 model year. Redesigned for both efficiency and more robust looks, the Silverado has three engine options to include a V6 and two V8 choices (including the 6.2L). A six-speed automatic transmission is standard on all but the larger V8, which utilizes an eight-speed automatic. 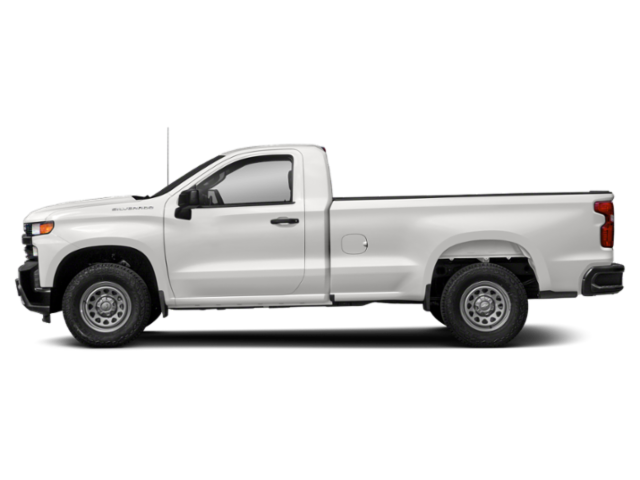 As per previous generations, the Silverado is available as a two-door, four-door extended cab, and four-door crew cab with any of three bed lengths. The Chevrolet High Country edition of the Silverado 1500 was introduced as the brand's first premium-level pickup truck line. Common complaints about the Silverado 1500 in its first two generations all center on high-mileage concerns with engine oil consumption and engine knock. These are costly repairs and are common to pickup trucks that have seen hard work use. What is the average price for Used Chevrolet Silverado 1500? How many are for sale and priced below market? What Chevrolet Silverado 1500 model year and mileage can you get for your budget? Where does used Chevrolet Silverado 1500 rank in comparison to competitor vehicles? What Is The Average Price Of A Used Chevrolet Silverado 1500 By Model Year? What Is The Average Price Of Competitor Cars To The Used Chevrolet Silverado 1500? What Is The Average Price Of Used Chevrolet Silverado 1500 In The Top 10 Cities?